Really, things have gotten so ridiculous that it’s a little hard to keep blogging. After the eternity that has been Obama’s first term, continually explaining why 2 + 2 = 4 becomes a tiresome chore indeed, especially when one suspects that she is only preaching to the choir and making little headway otherwise. I know, I know, speaking out is still important . . . but the little things get me down. National security is more important than homosexual “rights,” I said, bringing up the hot mic incident, during which Obama demonstrated that he is willing to say one thing to the electorate, but another thing entirely to Russian leadership. She had never heard about it. Sigh. Since I ran into this person at the commissary, at least I was able to soothe my nerves by buying some extra nonperishables. Now, don’t you worry or nothin. I haven’t given up hope. I’m just running low on steam. There’s not much for me to add to the conversation right now . . . at least, not anything that you and I haven’t said a hundred times apiece. Only thing new to me is a little tidbit from Older Son’s curriculum. I’ll share it, and see if it’s new to you as well. You see, I’ve heard comparisons aplenty of the Democrat hold on black voters to the slavery of old. C.L. Bryant made a whole movie on this very idea. Click here to see if Runaway Slave is playing at a theater near you. What I’ve never heard before is a positive comparison of slavery with the protective nanny-state progressives are always striving to achieve. Apparently, though, pre-civil war Southerners made this very argument. All defensive about their “peculiar institution,” many Southern apologists sought to explain why slavery was not a necessary evil, but actually for the best. One of those apologists was George Fitzhugh. Hmm. Property put in the hands best qualified to use it for the benefit of everybody? For the benefit of all? Oh, yeah, I get it. 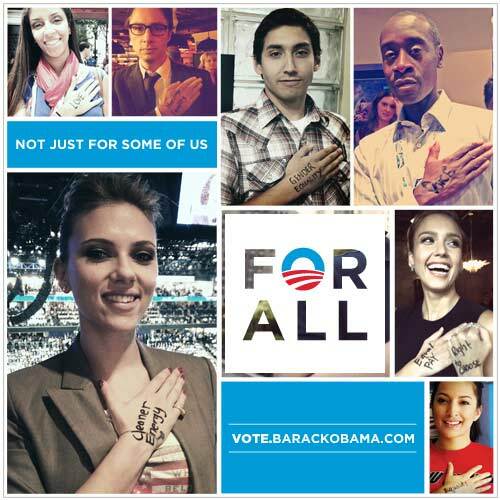 #ForAll. The Steady Conservative has a great, must-read post up about who is behind all the money that’s being poured into Texas politics this year. It’s the Houston trial lawyer, Steve Mostyn, that Saddleburr wrote about a week or so ago. It’s truly eye-opening to see how one man is using his money pile to make a serious run at controlling Texas’ state government. Exit question: Why aren’t the mainstream media in Texas lamenting the influence of money on our political system? Exit answer: Because the influence of money is serving Democrats. Well looky there, ACORN has its own little nut in the Texas House. The Texas Republicans peeled her bark in a press release today. Thibaut’s past is not unlike that of President Barack Obama; she too started out as a community organizer. And both did work for ACORN. Kristi even appeared at the State Capitol as a paid lobbyist for ACORN during the 2007 Legislative Session. ACORN activities have attracted the attention of law enforcement and prosecutors around the country, after they were exposed in a series of stings by a couple posing as a prostitute and a pimp, soliciting ACORN’s advice on how to operate their illegal enterprise without getting caught. Even the United States Congress condemned ACORN’s actions and cut off federal funding. The group has since seen many of its state and local branches disband, only to reconstitute under new names. And there’s a web site in which Thibaut confesses the whole, sordid connection. Evidently, Kristi really does work for ACORN. Texas Watchdog is all over the story, and it’s a big one. Voter registration group Houston Votes has inundated the county voter registrar’s office with faulty registrations, including multiple applications for the same voters and for noncitizens, registrar Leo Vasquez said. He likens it to ACORN. Two Texas activist groups, Houston Votes and Texans Together Education Fund, were accused Tuesday of an organized voter fraud campaign by Harris County Voter Registrar Leo Vasquez, who likened the groups to the now-discredited ACORN. Read the rest – this is very much in ACORN’s wheelhouse, as it is in the Democrat left’s wheelhouse generally. And Houston being Texas’ largest city, this is a very big deal to the entire state. And when I mention the Democrats, I’m not just blowing smoke. 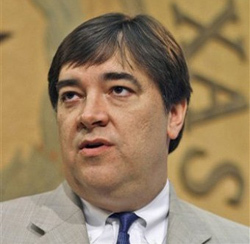 While Lewis maintains his group is nonpartisan, its board is decidedly liberal-leaning, according to research by blogHouston, which noted earlier this month that the Texans Together board included a Bill Clinton appointee, Democratic consultants and an aide to former Gov. Ann Richards. Yeah. They’re non-partisan like all the other “non-partisan” groups that, on the one hand attack the Republicans, and on the other hand, attack Republicans. When they’re not overloading the system with fake voter registrations. It’s in his city, and just when he’s running for Gov. Coincidence, I’m sure. BlogHouston has more on this story, including a note about the obvious silence of the state’s largest outlet solely focused on political reporting. More: Let’s pick up a shovel and turn a few rocks over. Texans overwhelmingly want voter photo ID for our elections, as do Americans generally. But the Democrats have repeatedly crashed the legislature in order to stop any kind of voter photo ID bill from becoming law. In the 2009 session, they even filibustered the bill until the session ended. It had passed the state Senate, but the filibuster killed the House version, so it died. Lots of other worthwhile legislation died in that filibuster, too. Now, who led that filibuster? Why, none other than state Rep. Jim Dunnam. Heard of him? He’s the fellow who does not deign to live in the district that sends him to the state House. Guess who Dunnam is in cahoots with. Why, he’s pals and lawsuit allies with Steve Mostyn, the mold and hurricane lawyer from Houston who is bankrolling the crazy attacks on Republicans all over Texas. There’s more to this story, and why the Democrats have fought so hard to kill voter ID in Texas. It looks to me like they were setting up to use voter fraud in Houston to steal November for Bill White – who just happens to have reportedly taken massive political donations from Mr. Mostyn. An early morning fire in Harris County seems to have destroyed a large portion of the counties Voting Machines and other equipment. Houston Fire Department spokesman Patrick Trahan said arson investigators have not yet determined the cause of the blaze. I hate to use the old cliche’, but I question the timing. “Why do I still have my house they cut out of the district? After Republicans intentionally redrew my district cutting out my new home, my wife and I made the decision to leave our children in the school district where they have always attended school,” Dunnam said. And there ya have it – an admission that he has chosen of his own free will to live outside the district that he runs in. So Waco TV station KWTX caught up with him, and here’s what he had to say when they asked him how often he sleeps at the out-of-district house versus how often he sleeps at the abandoned house that’s in the district. Well, Texas law thinks it’s relevant. The state’s constitution says you have to live in the district for a year before you’re eligible for office. Dunnam hasn’t lived in HD57 for at least 8 years, and maybe a dozen. This gentleman is both the chairman of the House Democratic Caucus, and one of the most powerful trial lawyers in the state. He knows the law. He just doesn’t care to abide by it. It’s long past time to turn this arrogant hack out of office. State Rep. Jim Dunnam, resident of Texas House District 56. Update: Heh. Jim Dunnam is certainly no Lando Calrissian, no matter how much he whines. That up there is the title to a great post by Matt Welch over at Reason, which you ought to read and absorb. It’s truly a look under the rock of how the so-called mainstream media treats advocacy groups on the left versus how it characterizes groups on the right. Lefty groups get the neutral, non-partisan designation nine times out of ten, even if they’re led by open socialists and funded by the likes of Soros (which regardless of whatever state you happen to live in, most lefty groups do catch and carry Soros bucks). Righty groups are routinely treated as if they carry leprosy with intent to propagate the disease. And the irony is, it’s the lefty Soros groups that actually are or tend to be part of some covert stealth nefarious plot. There’s even a newish one that does the non-profit journalism thing that’s gone nationwide calling itself “American Independent News.” They’re setting up posts in each state under the “Independent”moniker and training up local writers, so in Virginia it’ll be the Virginia Independent, in Texas it’ll be the Texas Independent, and so forth. By the name and the look of the site, it all sounds very non-partisan and even Tea Partyish. But it ain’t. Go have a look at their Donate page and you’ll see the Open Society Institute on the list. 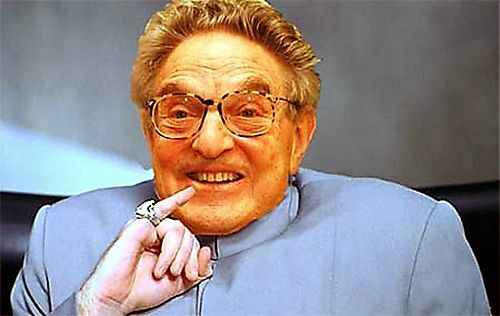 That’s Soros. Thus, American Independent, and its little offshoot here in Texas, is not independent at all. Let’s just tally up some of the ways that Bill White is an awful candidate, particularly in Texas. 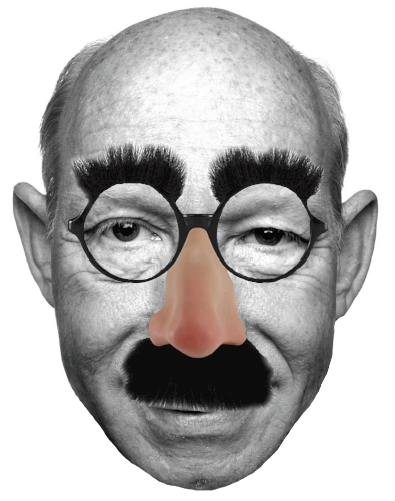 He auditioned for a slot in the Obama administration in late 2008, and supports cap and tax. He may have used the EPA to launch a political attack on the Texas economy. He says he’s pro-gun, but was a member in a huge anti-gun mayors group. He put Planned Parenthood in a massively powerful post in his administration as Houston mayor. And as chairman of the Texas Democrat party, Bill White actually tried to make it harder for military to vote. Does the man realize that Texas and military are practically synonymous? In 1997, Texas Democrats filed an election contest seeking to overturn the results of two local elections in Val Verde County (Del Rio), claiming that soldiers stationed at Laughlin Air Force Base weren’t eligible voters. In two races, Val Verde County voters narrowly elected a Republican sheriff and county commissioner. Democrats argued that military voters could vote in federal elections but not local elections unless they had prior ties to the community. * * *Eventually, Texas courts ruled that the military votes were valid. * * *Democrats responded by trying to disenfranchise military voters in local elections in the 1997 legislative session. I don’t want to steal their post, so read the rest. White still stands by those actions and reiterates that military should only be allowed to vote where their kids are enrolled in schools – which would disenfranchise thousands who call Texas home but may be deployed overseas, and earning him a pop from Bosnia war hero Capt Scott O’Grady, among others. Nice move, Gollum.